The original MX5 auto transmission selector required reworking and modification to suit the clubman. 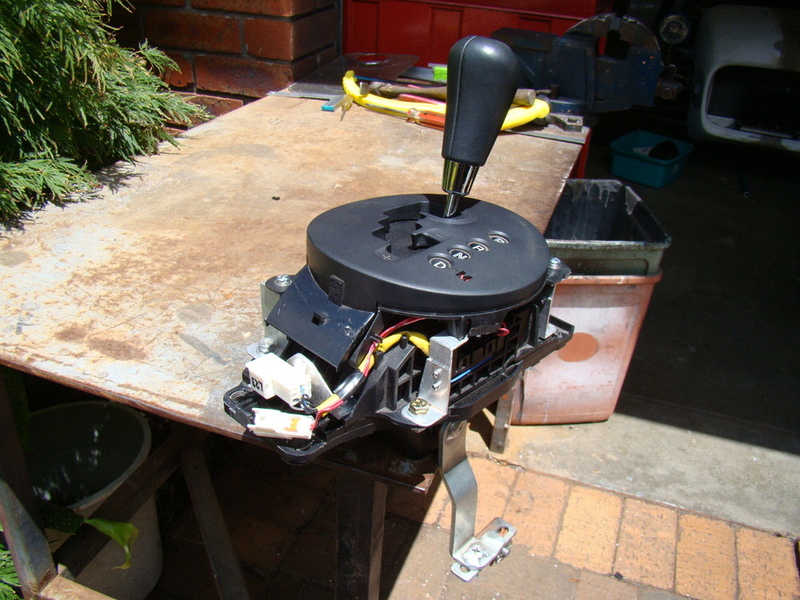 The indicator quadrant was originally attached to the MX5 centre console and required modification to mount directly onto the shift mechanism. The unit provides manual shift options for the tiptronic auto (in addition to the steering wheel paddles) as well as the standard automatic function.